Golf has come a long way over the years. It’s broken through the barriers of what once was a wealthy elitist’s game and transitioned into one that families from all backgrounds can enjoy together. Professional golfers like Tiger Woods, Rory McIlroy and Rickey Fowler have become the superstars of their generation. They grace the cover of Sports Illustrated, Wheaties boxes, and have even been segmented on TMZ. Their celebrity status has made them role models to a younger generation and has made golf just as popular, if not more popular, than other major sports. I remember my first golfing experience; it was at the ripe young age of eight. My dad let me skip school, which was a treat in itself. It was a Wednesday morning and he was playing with a few friends. And even though the course rules stated you had to be 16 years old, he let me drive the cart. Every time the marshal drove past we switched seats to avoid getting in trouble; this happened numerous times throughout the round, but I never got caught. When we got to the 12th hole, I noticed it had a giant water hazard. I asked Dad if I could take a swing and hit it into the water. We had no groups behind us and his friends thought it’d be funny to see, so Dad agreed. It was a par 3, 186 yards. I grabbed my dad’s driver, which was too big for me, and set the ball up on the tee. Squinting down on that Titleist, I swung the club as hard as I could. Expecting to see a splash, everyone was amazed to see the ball soar toward the green. I can still remember everyone’s faces as we walked over to see my ball two feet away from the hole. I hit it closer than everyone in the group, including my dad. Needless to say, I was hooked on the game and still have that ball as a memento. It usually only takes one great personal moment to fall in love with the game of golf. After my moment, Dad signed me up for lessons with the local golf pro, which helped me gain a clearer understanding of the game. Lessons are not only instructional, but can be great for every member of the family. No matter your skill level, getting hands-on training will improve your level of play. Getting outside for 18 holes and herding the whole family together can sometimes pose a challenge. The most important thing is to find a course close to home. Depending on your skill level, I recommend using a 2-iron or 3-wood. Every course plays at different levels of difficulty, but you can choose from multiple tees to fit your family’s skill level. Once you’ve found the right course, start looking for gear. When looking for clubs, most people just go for the top name brands. This is usually a big mistake and could affect the way you play. Always test your clubs before buying them. Almost every pro shop or golf specialty store will let you demo drivers, irons and putters before making the final purchase. Places like Golfsmith and course pro shops have many options to choose from and can make in-store alterations to your clubs for an even better feel and swing. After clubs, comes finding a bag. I recommend a bag with wheels or a pull cart to go along with your bag, which will give you the option to walk the course. Walking 18 holes sounds tedious, but it can be a healthy bonding experience with the family. Now it’s time to dress for success. The days of knickers and sweaters are long gone, although elements from the past are alive in today’s styles. Unless you’re at a country club where dress code is strictly enforced, it’s key to dress for comfort. Especially when walking the course, you want to be as comfortable as possible. Most major athletic brands such as Nike, Adidas and Puma produce clothing and shoes specifically for golf. Always remember to wear enough layers to brave the elements. Starting a round in the morning may require a heavy jacket, then as the weather improves it’s time to move to a light sweater, and when the day peaks dress down to your polo. I can’t emphasize dressing for comfort enough. It will make the round and your swing more enjoyable. Now that you have all your gear, let’s move on to improving that swing. Before you hit the links, take a lesson with a local golf pro. Lessons are beneficial for a child’s first experience or for a seasoned player’s improvement. Some golf pros offer family rates, charge per lesson or do package rates. Check with your local course for rates and availability. As you walk from hole to hole, find fun, fresh ways to challenge yourself and your family. Have contests, such as longest drive, closest to the hole or best putt. This will get the kids excited, and it’s far better than playing lowest score. And remember: Although you’re playing as a family, golf is an individual sport and it’s easy to get frustrated with yourself, which can sometimes be hard for younger players and dent their confidence. Explain to your kids that practice makes perfect. Most importantly, have fun! Golf is a great game—one that’s become more family-oriented in recent years. With the arrival of spring and warmer temps, round up your family and take advantage of this great game. 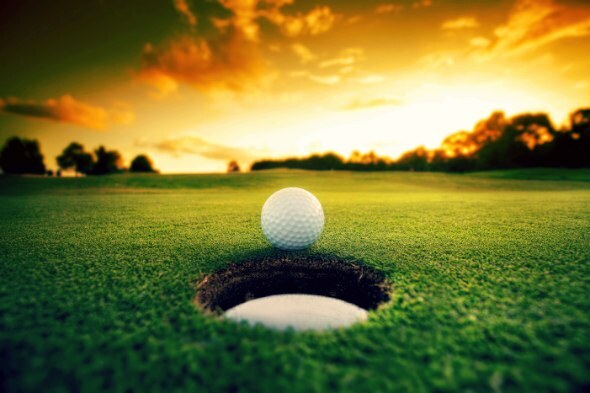 As well, most golf courses have a “twilight” greens fee starting around 3-4 p.m., letting you play until dark at a reduced rate—an excellent opportunity for families, or anyone, to practice without breaking the bank. Fore! The “19th hole” is also called the clubhouse bar. The modern game of golf originated in 15th century Scotland. An ace is when a player hits a ball directly from the tee into the hole with one stroke; also called a hole in one. A fore is a warning shout given when there’s a chance the ball may hit other players or spectators. A signature hole is the one hole a golf course decides is the most aesthetically pleasing and most photographic. “Address” in golf is the position of one’s body taken just before the golfer hits the ball. 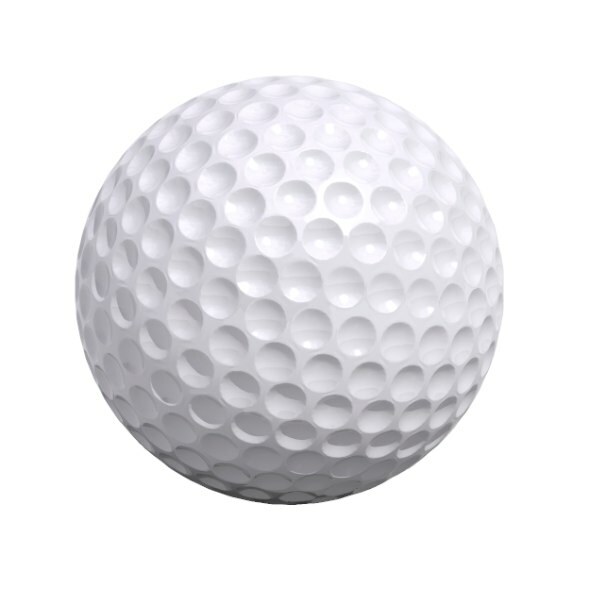 Golf balls travel significantly further on hot days. “Everything the beautiful California Sierra Foothills has to offer is on display year-round.” Bass Lake Golf Course in El Dorado Hills offers a three-day Junior Golf Camp for boys and girls of all skill levels and various age groups (7-8, 9-12 and 13-17). The camp includes instruction, activities and lunch each day. PGA professionals help youth with confidence, self-control, patience, respect for the game and etiquette. March 16,17–23,24 – 59th City Men’s Regional 4 Ball. Bing Maloney Golf Course. March 18 – Granite Bay Four Ball Championship. Granite Bay Golf Course. April 13,14 – Davis City Amateur and Senior Championship. Davis Golf Course. April 15,16 - NCGA East Sacramento Zone Championship. Del Monte Golf Club / Quail Lodge Golf Club. April 20,21 - Junior Tour of Northern California Spring Series V. Mather Golf Club. April 20,21 - Roseville City Amateur & Senior Amateur. Diamond Oaks Golf Club and Woodcreek Golf Club. April 26-28 – 55th City Putting Championship. Haggin Oaks Golf Course during Golf Expo. May 4,5 - Junior Tour of Northern California Spring Series VII. Darkhorse Golf Course. May 7,8 – 39th County Senior Men’s Championship. Ancil Hoffman Golf Course. May 16 - NCGA Master Division Championship Qualifying. Chardonnay GC, Darkhorse GC, Riverbend GC, Roddy Ranch GC, San Juan Oaks GC. May 23 - NCGA Four-Ball Net Championship Qualifying. Bidwell Park GC, Castle Oaks GC, Crystal Springs GC, Elkhorn GC, Mather GC, Poppy RIdge GC, Rancho Canada GC, Rancho Solano GC, Ridgemark GCC, San Geronimo GC, Shadow Lakes GC, Sunnyside CC. May 25-27 - Memorial Amateur Championship. Ancil Hoffman Golf Course. May 29 - NCGA Associate Club Four-Ball Net Championship Qualifying. Ancil Hoffman GC, Castle Oaks GC, Deer Ridge GC, Indian Valley GC, Laguna Seca GR, Poppy Ridge GC, Riverbend GC, Rancho Solano GC, San Juan Oaks GC, Santa Clara GTC. June 1,2 – 45th County Women’s Championship. Ancil Hoffman Golf Course. June 1,2 – 9th City Men’s Handicap Championship. Bing Maloney Golf Course. June 6 - NCGA Junior Championship Qualifying I. Mather Golf Course. June 14 - NCGA Amateur Stroke Play Qualifying. Coyote Creek GC, Del Monte GC, Haggin Oaks GC, Paradise Valley GC, Roddy Ranch GC, Stevinson Ranch GC. June 15,16 – 92nd City Men’s Scratch Championship. Haggin Oaks Golf Course. June 22,23 - U.S. Amateur Public Links Championship Qualifying. Haggin Oaks Golf Course. June 27 - NCGA Associate Club Championship Local Qualifying I. Ancil Hoffman GC, Castle Oaks GC, Foxtail GC, Las Positas GC, Monarch Bay GC, Riverside GC, Santa Clara GTC. June 29,30 – 78th City Women’s Championship. Bing Maloney Golf Course. July TBD – 44th County Mixed Team Championship. Cherry Island Golf Course. July 3 - NCGA Associate Club Championship Local Qualifying II. Ancil Hoffman GC, Castle Oaks GC, Las Positas GC, Monarch Bay GC, San Geronimo GC, Santa Clara GTC, Shadow Lakes GC. July 9,10 – 45th City Senior Championship. Cherry Island Golf Course. July 12-14 - NCGA Amateur Stroke Play Championship. Bayonet/ Black Horse GC. July 13,14 – 24th County Men’s Handicap Championship. Cherry Island Golf Course. July 17, 18 – 45th County Junior Championship. Cherry Island Golf Course. July 20,21 - Sacramento County Scratch Stroke Play Championship. Ancil Hoffman Golf Course. July 31-August 1 - 6th Annual Junior Tour of Northern California Championship. Bayonet/ Black Horse GC.